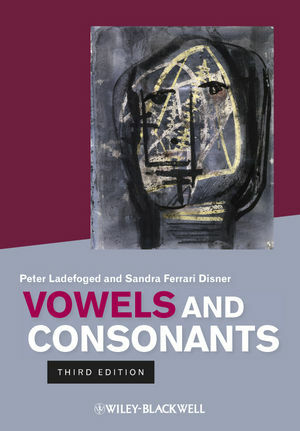 This popular and accessible introduction to phonetics has been fully updated for its third edition, and now includes an accompanying website with sound files, and expanded coverage of topics such as speech technology. Peter Ladefoged (1925-2006) was Research Phonetician and Professor of Phonetics Emeritus at the University of California, Los Angeles, and was Director of the UCLA Phonetics Laboratory from 1962 to 1991 and was president of the Linguistic Society of America. He is the author of numerous books, including The Sounds of the World's Languages (with I. Maddieson, Wiley-Blackwell, 1996), Phonetic Data Analysis (Wiley-Blackwell, 2004), and A Course in Phonetics, Sixth Edition (with Keith Johnson, 2010). Sandra Ferrari Disner teaches general and forensic linguistics at the University of Southern California. She has over 25 years of experience in speech technology, having developed commercial text-to-speech and speech-recognition systems in five languages, as well as the world's first talking video games.